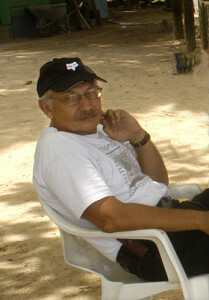 1990-present Professor of Biology, New College of USF, Sarasota, Florida. 1993-94 Project Co-Director, New College Marine Biology Program in Honduras, Central America. 1986-92 Project Director, New College Coral Reef Ecology Program in Belize, Central America. 1976-79 Director of Educational Affairs, Marine Environmental Research, Inc., Bradenton, Florida. Dr. Beulig’s primary focus is with ethology/animal behavior. His dissertation research on sharks was carried out at Mote Marine Laboratory. He has been studying social organization and aggression with a behavioral ecological orientation in recet years. Also, with the establishment of the reef and marine biology programs, Al Buelig and his colleagues have recently been studying coastal ecoysystems including the coral reefs of Roatan Island, Honduras, Bocas del Toro, Panama and Sarasota Bay, Florida.